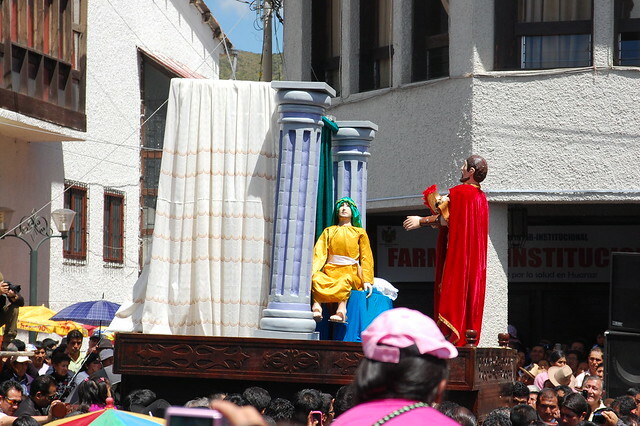 Last year, two of my fellow volunteers and I traveled to Huaraz, Peru for Semana Santa (Easter Week), as it is considered one of the top places to see Easter-related festivities. The celebration is one of the more traditional in Peru and the city was packed with tourists and locals. 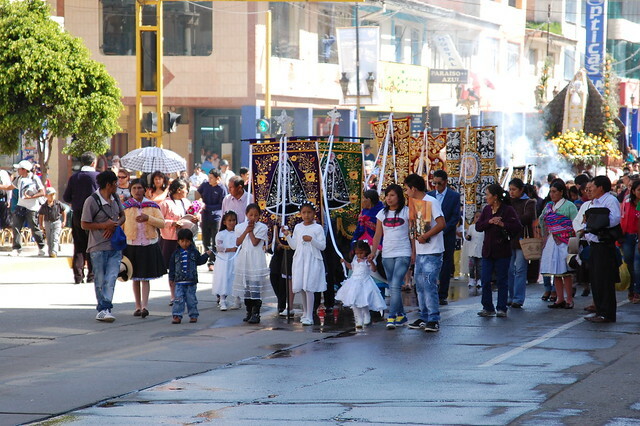 On Easter Sunday, two processions begin from Huaraz’s two churches. Jesus approaches from one part of the city, while Mary approaches from the other. 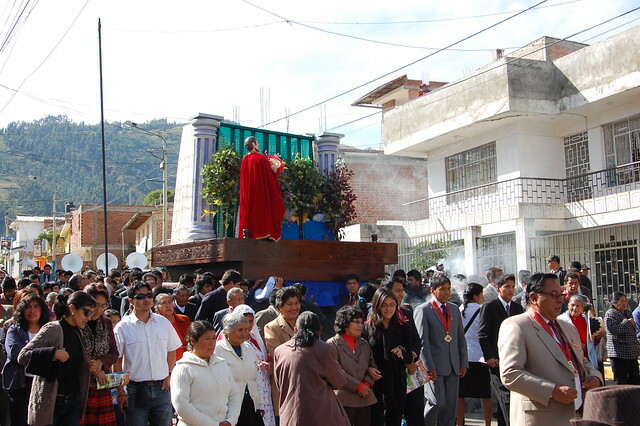 The processions combine in front of the main plaza in an emotional reunion between Jesus and his mother. The entire town comes out to support these processions. The processions are accompanied by mournful horns, children, lots of incense, flowers, and devotion. 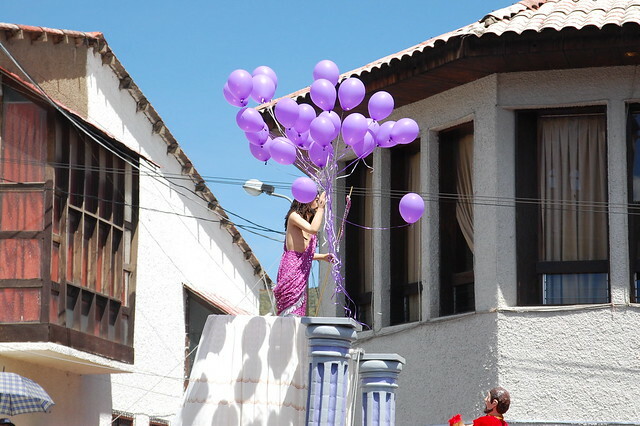 As the processions meet in front of the plaza, there is a powerful reenactment of Jesus rising from the dead, accompanied by the release of purple balloons and lots of pigeons. Even though I am not religious, I was deeply moved by the shared emotion of the packed crowds. 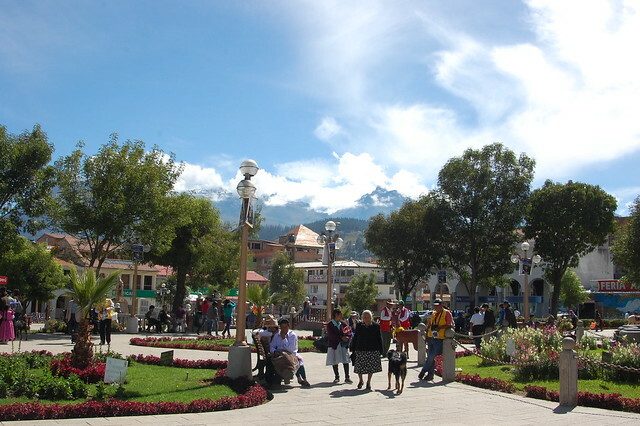 On this particular Easter Sunday in 2013, the sun came out in Huaraz, bringing warm temperatures and allowing us to appreciate the beauty of this town set in the Cordillera Blanca in northern Peru. 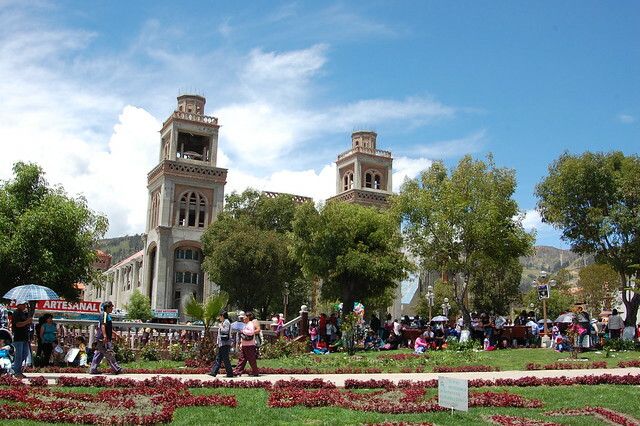 Huaraz is a must-visit destination in Peru, and Easter was a perfect time to get to know this city and its traditions.